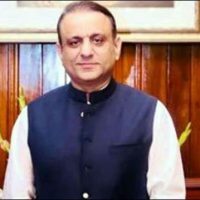 LAHORE: Punjab Senior Minister Abdul Aleem Khan has said the media is an important pillar of the state and the government will extend all-out cooperation to resolve the issues of the newspaper industry for which a meeting with the Punjab chief minister will be arranged soon. He was talking to the executive body of the All Pakistan Newspapers Association (APNS) here on Saturday. APNS President Sarmad Ali along with other office-bearers called on Aleem and apprised him of the present state of affairs and problems they were facing. Aleem said there was no doubt that the media played a pivotal role in bringing the PTI and Imran Khan to this stage of success and today newspapers and television channels were free to criticize the government. He invited the journalists community to point out PTI shortcomings so that they could be addressed accordingly. He claimed that the last government left huge debts and corruption while the traditional corrupt system had failed to provide any sort of relief to the common man. He said the Nawaz League carried bogus facts and figures and only during the interim government, checques worth 38 billion in Punjab were bounced. A number of projects in Punjab had become a white elephant and the government was bent upon either closing them or continuing them under heavy debts. The PTI government was compelled to reduce the annual development programme by 67 per cent and it needed four years more to complete the ongoing projects without starting any new initiative in Punjab. The journey in the right direction had already been started under the dynamic leadership of Prime Minister Imran Khan and soon there would be a sigh of relief for the common masses. He said an investment-friendly atmosphere was necessary to invite local and foreign investment that would increase employment and new business opportunities. It would strengthen the national economy. Talking about his ministry, he said big changes were being brought in the local government sector and a new local bodies system was in the pipeline, which would not only ensure financial and administrative powers but also ensure progress at the grassroots level. In Punjab, 56 companies were full of corruption and their revamping had been started to put them on the right track. He also listened to proposals by the senior journalists and assured that in the light of that, a strategy would be evolved. He also assured his personal interest in solving the problems of the media industry. Sarmad told Aleem the Pakistani media was facing a record crisis and the dollar price had played a role in this regard. He said if the government did not sort out media problems through an out-of the-box solution, there would be no option left for newspapers to have strong footings. Mehtab Khan, Mujeebur Rehman Shami, Khushnood Ali Khan, Rehmat Ali Razi, Naveed Chaudhry, Jamil Athar and senior journalists from other provinces also expressed their views and appealed to the minister to personally intervene in the matter to provide immediate relief to the media industry.